If you have received a formal or informal notification that the other parent of your child intends to relocate, you have rights. As a result, it is essential you know your rights, and what you can do. In the state of Missouri, parents have a short amount of time in which they can object to a relocation request. You could lose any rights you have, if you fail to meet the deadline for a relocation request. Relocation can also require partial or complete modification of the parenting schedule. I provide services to clients objecting to relocation requests. As well as negotiate necessary alterations for parents planning to accommodate a relocation request. During an initial custody agreement, parties often decide to make a joint decision or to share equal custody of their child. After this decision, sometimes things are going as well as you would hope. 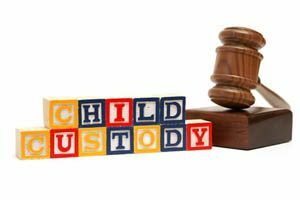 In the event the arrangement is detrimental to the child(ren), we can explore other child custody options. Or if the current agreement causes conflict, having a specialist by your side can help with your child custody modification. Even peaceful co-parenting situations can evolve into high-conflict cases when a new significant other is introduced. My extensive experience enables me to assist clients with identifying areas of conflict. I can also provide solutions that benefit your children while promoting harmony within the household. If a parent has developed a drug or alcohol issue, it will likely affect their parenting ability or unsupervised contact. This is another area where years of experience allows me to help clients affected by substance abuse. If you are looking for help protecting your child, Featherston Lecour can help. The first step will be filing appropriate court orders for the protection of the children. I will also strive to set forth any future parameters that ensure their continued security. In other cases, a parent discovers that their child has been subjected to physical or verbal abuse. Sometimes these are just caused by anger issues, instead of substance abuse. I am prepared to take the proper actions to address the situation immediately. It is the job of all child custody lawyers to ensure the protection of the children involved. Child support/custody modification can be necessary as a result of the poor relationship between the parents. When a parent refuses to communicate on an issue, or alienates your child, we can help. All of these matters can be addressed, just give our firm a call. You and your children deserve a bright, happy, and healthy future. Family issues shouldn't threaten that future. If you need someone to reach out to contact Melissa Featherston here. I serve all clients in St Charles, St Peters, St Louis, O'Fallon, and the surrounding areas of Missouri. For more reading about child custody, here is the wiki.